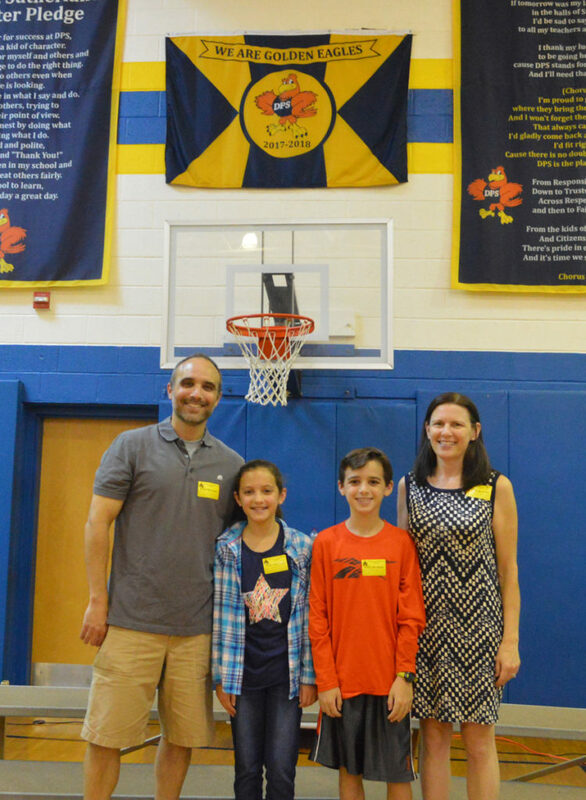 Sixth grade student Shea Fajen returned to Donald P. Sutherland Elementary School on Friday afternoon to unveil the 2017-18 school flag that she designed as a 5th grader last year. The ceremony concluded the school’s first Character Education assembly of the year. Shea Fajen with her family at DPS.